See Case 8. 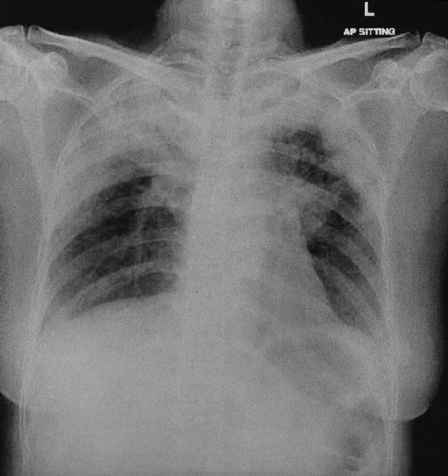 The CXR shows a cavitary lesion at the right hilum (Fig. 95.2). Lateral X-ray (Fig. 95.3) shows the lesion to be thin walled and at the apical segment of the right lower lobe. The causes of lung cavities include primary lung cancer (typically Squamous cell), tuberculosis, Klebsiella, Staphylococcus aureus (usually multiple), anaerobes, mycetoma, Wegener's granulomatosis, rheumatoid nodule, and pulmonary infarction. 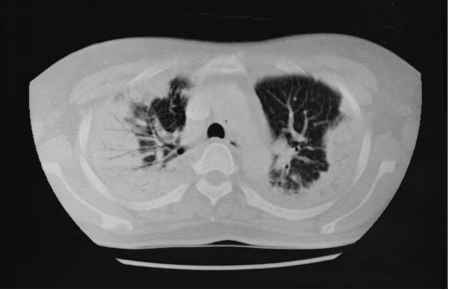 Lesions in the upper lobe and apical segment of the lower lobes are typical of pulmonary tuberculosis. Case 96. 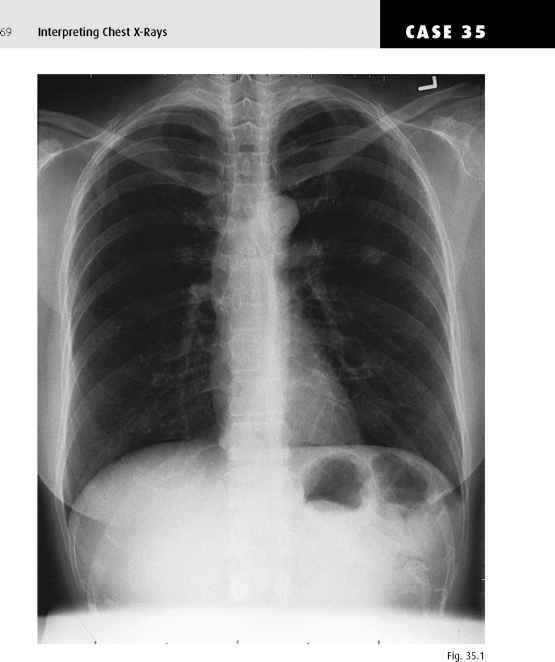 This patient presented with a three-month history of coughing and loss of weight. Blood tests showed a markedly elevated peripheral eosinophil count. Her CXR is shown (Fig. 96.1).